Mauritius is a land of many possibilities. From being a dream-like romantic destination perfect for honeymooning couples, to being a retreat for families on the hunt for the idyllic spot to spend some quality time with their loved ones, the country is a popular tourist destination attracting travellers from across the globe. A vacation on the beach is the ideal vacation for a lot of reasons, which surely includes loads of exciting activities and thrilling sports. It has emerged to be a superb holiday spot for individuals or friends looking to break away from the monotony of their everyday life, through some fun activities in the sun and sand. Mauritius is a popular travel destination that deservingly holds a place in the top shelf of such gems that are packed with action. Those on the lookout for an energizing vacation destination find this place a blessing in disguise. The range of thrilling water sports and other land activities makes the place a wonderland of incessant excitement. When in Mauritius Adventures are easy to come by, it is only a matter of your choice what you prefer- deep sea diving with the huge array of enigmatic sea creatures, feeling the sea breeze in your hair with the windsurfing or something else. Here are the top 9 Mauritius Adventures that are simply too hard to miss out on your trip to the island country. One of the best experiences in Mauritius, kayaking lets you explore myriad caves and beautiful islands of the country in an unconventional manner. Considered to be a comparatively easy water sporting activity, it is a superb means to discover the land which you can do by either opting for a single or a double kayak. 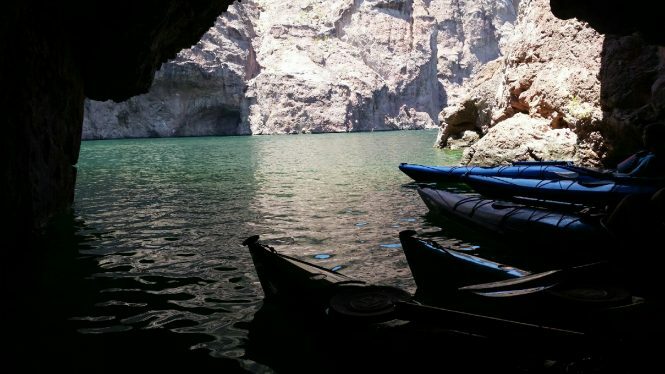 The voyage typically begins at Pointe Aux Sable from where you can paddle your way through the azure waters showing you mysterious rock caves and stunning gardens formed of basalt rock. Tips: Although there is no need to be good at swimming for this Mauritius Adventure activity, it is still advised for individuals with prior experience of kayaking. Beginners can opt for courses in Cave Sea Kayaking offered by organizations such as Yemaya Adventures. Carry sunscreen and a spare set of clothing and footwear for changing post the activity. 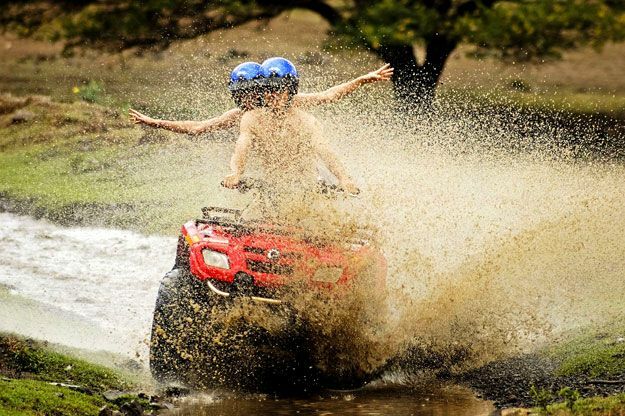 One of the most exciting and fun Mauritius adventures, the experience of quad biking on the sandy and rugged terrain of the island nation, is simply ecstatic. The racy activity, coupled with the beautiful environs of the Yemen Natural Reserve Park, where quad biking is organized, leaves you thrilled through and through. It sport takes you across 4,200 hectares of the naturally rich land where besides sweating and competing against your fellow bikers you can also enjoy the lovely sights of majestic animals like zebra, wild boars and fruit bats, the delightful Tamarin river and many exotic plants like Pink Pepper and more. Tips: Carry a sunscreen and wear a helmet at all times. Children below 12 years of age are not allowed to participate in the activity. Mauritius is one of the finest spots in the world for a truly memorable experience of scuba diving. Alive with vibrant and diverse underwater scenery, the destination offers a splendid place for undersea diving for those who appreciate natural beauty and love a hearty serving of adventure on their plate. The assortment of gorgeous marine life, from various fishes to colourful corals that you witness during a dive here is veritably unique. Although knowing how to swim is an added bonus, non-swimmers can comfortably indulge in the activity too. Tips: For a safe and good experience, it is best to contact a local diving centre such as Tamarin Ocean Pro Diving etc. While not adrenaline rushing, Dolphin spotting still lies among the Mauritius Adventures that are every bit thrilling and captivating. The unparalleled charm that this easy engaging activity delivers is simple yet impressionable, not to mention unforgettable. The thrill of waiting for a glimpse of the innocent and beautiful creatures is rewarded in the most wonderful way when spot a dolphin swimming alongside your cruise. The marvellous antics of one of the friendliest creatures in the animal kingdom, coupled with the wide expanse of open blue waters is certainly fit to make your day exceptionally memorable. Tips: The activity calls for patience, and if you want to swim with dolphins, then knowing how to swim too. It is not recommended for pregnant women. Make sure to carry enough potable water. 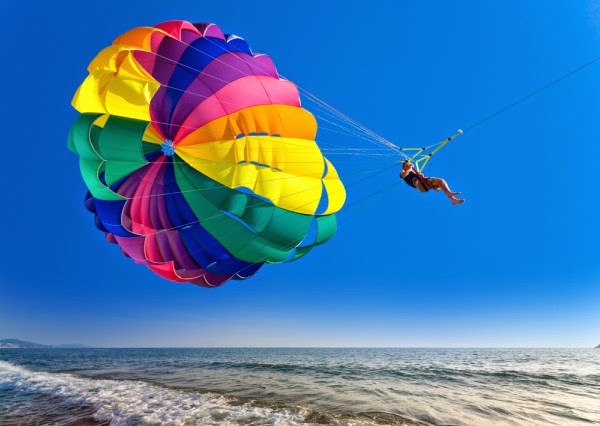 Parasailing is a wonderful adventure activity to indulge in, especially when the destination is beautiful Mauritius. The breath-taking vista of lagoons that you get to witness through an unmatched bird’s eye view when high up in the air, parasailing in Mauritius leaves you satiated yet wanting more. The turquoise vastness spread before you is enough to make you forget the hassles of the world and enjoy to your heart’s full. Tips: If carrying a camera, make sure you secure it well. 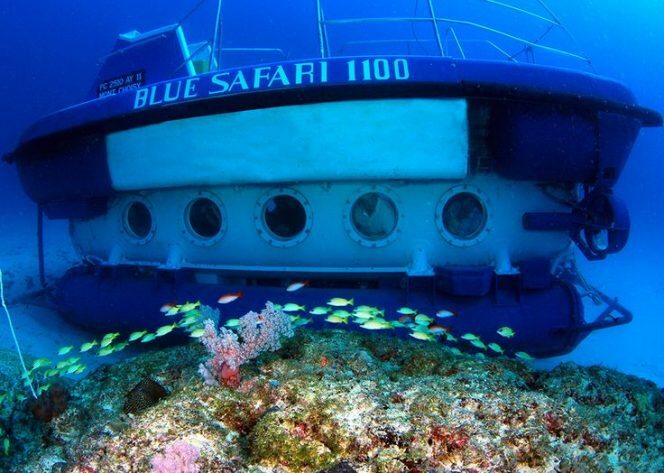 A ride in a submarine is a distinctive and one of the most pleasurable Mauritius Adventures that you can experience vacationing in this island paradise. The undersea life off the coast of the country is simply gorgeous to behold and if you want to witness it but do not wish to get wet, soaking in its beauty through a luxurious submarine is a perfect choice. 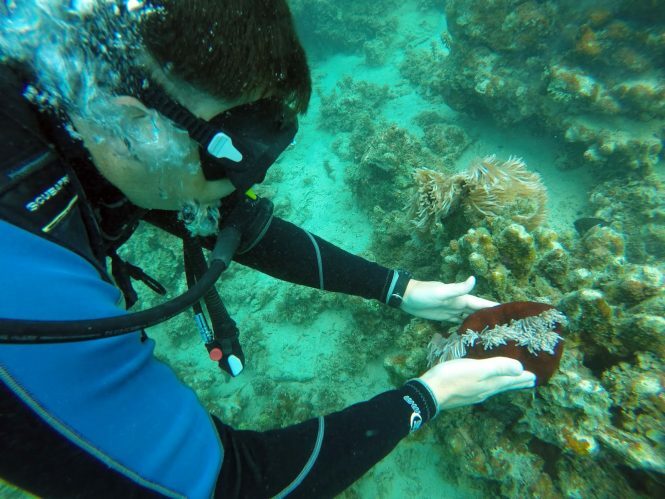 It takes you through vibrant corals, hordes of beautiful fishes and the shipwreck of the ship ‘Star Hope’. Tips: To ensure you get a seat and at a good price, it is recommended that you make reservations at least one day in advance. A trek to Les 7 Cascades which is also known as Sept Cascades is as enjoyable as it is challenging. The trek in the South Western region of Mauritius takes you on a thrilling journey through deep verdant forest that ends with a spectacular view of seven consecutive falls effusive with pristine white water. The refreshing pools of waters formed at their feet prove to be deserving gifts after the strenuous feat. The winding and testing path weaves through some most beautiful sights of you may ever see, makes for a fine trekking experience for the ones seeing adventure and a satisfying rendezvous with Mother Nature. Tips: Being a difficult trek, it is necessary that you get a guide if it is your first time hiking here. It is not allowed for individuals below the age group of 12 years. Carry trekking shoes, enough drinking water, trekking shoes, mosquito repellent cream and sunscreen with you. Game fishing is yet another popular pick from the wide range of Mauritius Adventures that the country offers your way. Quite unconventional, and different from its peers, it is an adventure sport nonetheless which does not fail to revive and excite you. The long coastal area of Mauritius gives you enough spots to try your hand at this entertaining game which if falls in your favour, also leads to a great dinner. 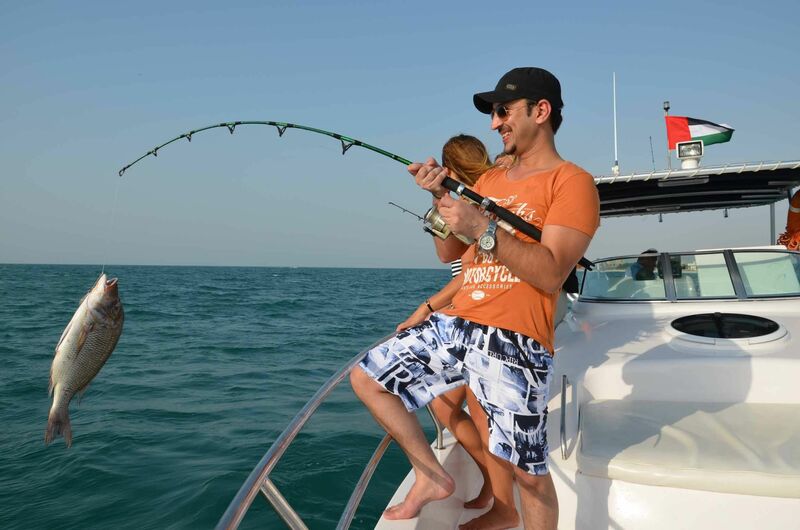 Apart from the usual fishing sprees, you can also enjoy overnight expeditions for added fun. Tips: It is always a good idea to do your homework well and get advice from experts on the right equipment and technique for fishing. As a general rule, the period from July to October is the best season for it. 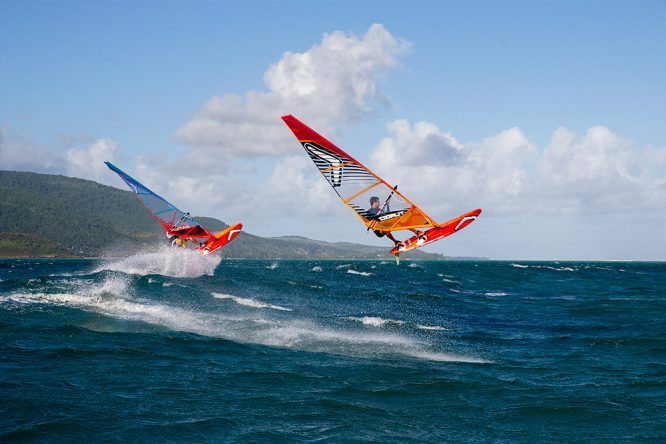 If you love a good sport, windsurfing in the turquoise sea of Mauritius might just be the winning bet for you. Although, exciting and as adrenaline-pumping as any adventure sport can be, it also poses a heavy challenge at your end. Simply placing your foot on the wobbly surfboard and getting your balancing act right is a bit of a trick, especially if you are a beginner at the game. On the brighter side though, are the many crash courses available which can set you in the right direction. Tips: This sport requires you to be proficient in swimming. If only starting with windsurfing, make use of a big board and begin only after training from the experts. The ideal time for it is between December and April. Mauritius is an amazing destination that is flocked by travellers from all over the world. People come to this place as much drawn by the range of stimulating activities that it offers, as by its mesmerising beaches and natural beauty. The plethora of adventure activities to choose from makes this country one of the best travel destinations for many. 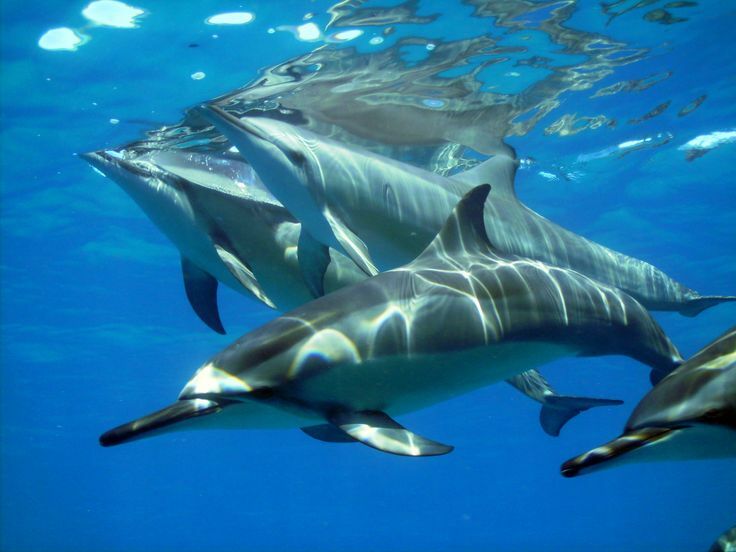 Mauritius has always been known for its amazing ocean activities ranging from snorkelling and parasailing to scuba diving and dolphins or whale spotting. Any adventure loving person would never want to miss such amazing experiences where they are spoilt for choices. You can easily plan an amazing trip to this beautiful island nation within your budget, and enjoy tons of exciting Mauritius Adventures to make your vacation unquestionably memorable. Must Read: Mauritius tour package which is a pocket-friendly international beach destination. 1. 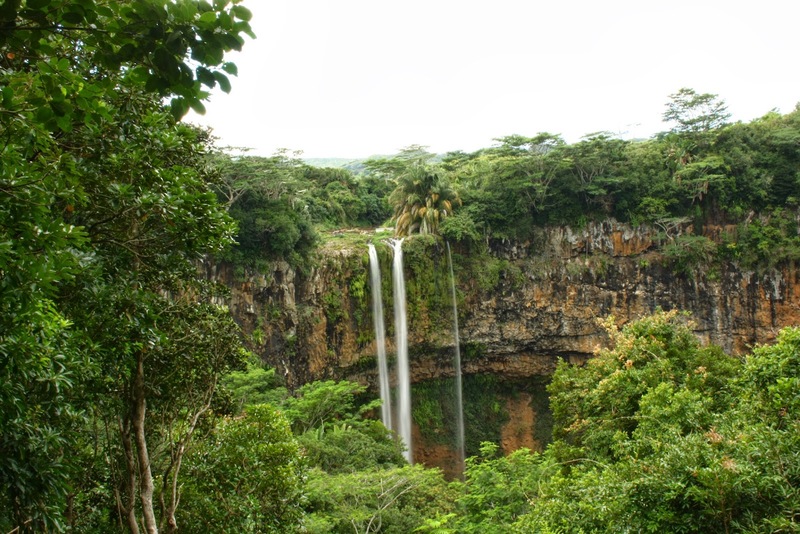 What are some of the must-do adventure activities in Mauritius? Mauritius offers many different land and water adventure activities. Of these, the best adventure activities that you must try are snorkelling, scuba diving, quad biking, parasailing and trekking to Les 7 Cascades. 2. What all water sports does Mauritius offer? 3. What are some ideal spots for scuba diving? Some of the best spots for scuba diving are Southern Coast of Mauritius, Blue Bay’s Colorado, Roche Zozo and Belle Mare. 4. What are the most popular water sports in Mauritius? 5. What are some Mauritius Adventures that do not require any special training? Adventure activities such as Quad Biking, Scuba Diving, Snorkelling, Game Fishing, Trekking, Parasailing etc. do not require any special training. However, it is still advised to follow all the rules and safety measures carefully, and make use of only quality equipment while performing these activities.